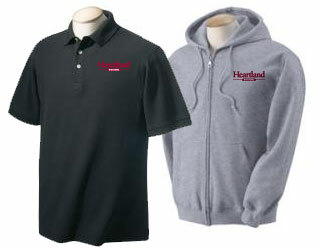 Visit the Heartland windows apparel site to order shirts, sweatshirts, outerwear, mugs, pens, and more! View product flyers and brochures to gain knowledge about our products, send to customers, or place an order. The Strength of the Heartland! At Heartland Windows we pride ourself in producing American made windows in the heartland, from all American made products. We offer an extensive line of products of windows and doors, all certified by the National Fenestration Rating Council (NFRC), Energy Star Windows Program, and the Mid-American Utilities rebate program. These endorsements are possible only through rigorous attention to every detail of the manufacturing process. From linear profiles to hardware and glazings, Heartland uses only the highest quality components available in America. All our windows and doors are designed for easy installation. Each product is custom-made to your exact opening, eliminating extensive reonvating costs and saving you time! Click here for Installation Instructions. 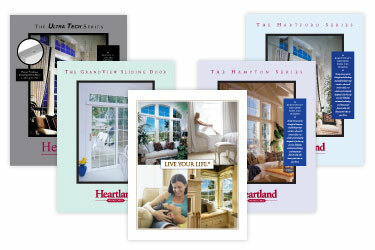 Contact us now to learn how you can become a Heartland Windows distributor.